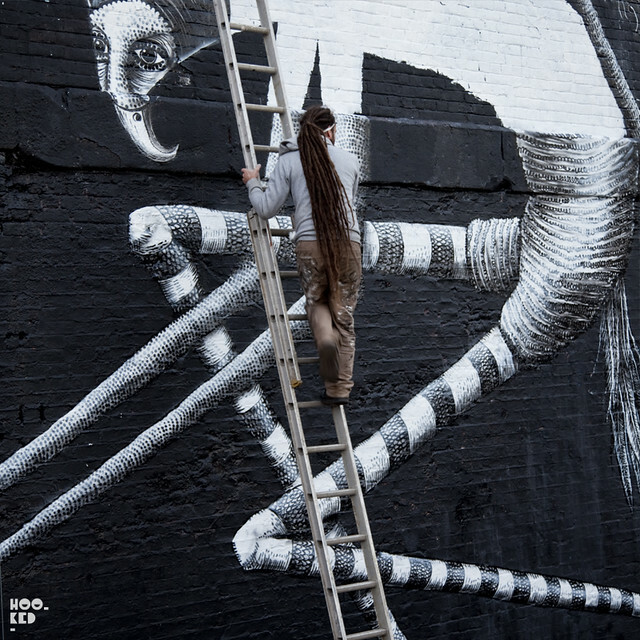 Following yesterday blog post on the new Phlegm mural in London, we headed back to check on the progress of this huge wall this afternoon. With two of the four characters complete the mural was starting to take shape when we arrived and was drawing a steady crowd of admirers all stopping to take in the stunning work. 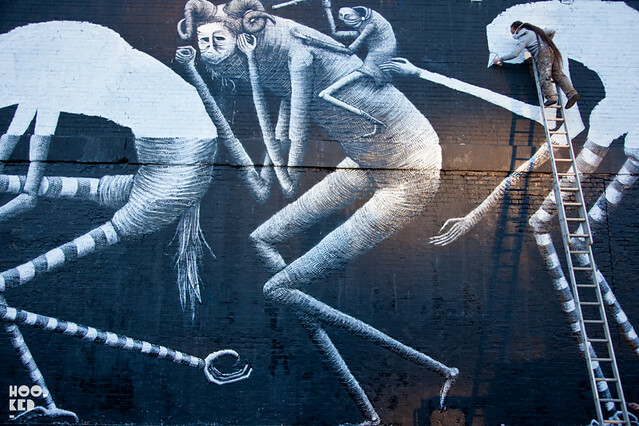 But with the light fading and no tripod with us, plus plummeting temperatures we left before the mural was complete. 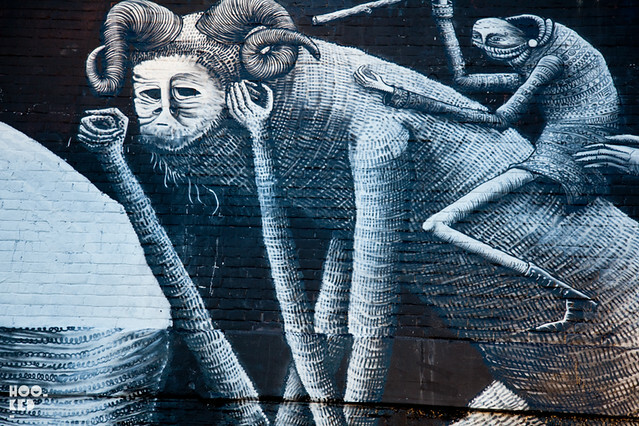 As we were leaving Phlegm had really stepped it up a gear and plans to finish the rest of wall tonight. Check back with us tomorrow when we should hopefully have photographs of the completed mural.